Everyone loves to sit in front of a fire, whether gathered around with family and friends or curled up close by with a good book. Some would say that fire is hypnotic as the flames dance and flicker across the hearth. The warmth and ambiance of a beautiful fire invites conversation, calm, and comfort. But the flames will wane if you have a traditional wood fire, and you will need to interrupt that sense of peace to place yet another log into the fireplace. Even after the fire has faded, there is the clean-up that comes afterwards. Never break the mood again by installing a set of gas logs. Gas Logs provide all of the advantages of having a fireplace in your home without any of the hassles that come with burning wood. If you have a working wood burning fireplace and access to either natural or propane gas, you can create a warm environment to enjoy with your family. Gas logs are manufactured using refractory cement or other non-combustible ceramic materials. You will never need to worry about the mess that comes with using natural firewood. Lighting the fire can be as easy as pushing a button on your remote or lighting a match. You get to choose how long the fire burns; use it for a hour or keep it going all day without having to add more wood. Today’s gas logs are not the same as in years past. Most logs are hand painted to recreate the intricate details normally only found on real logs. The variety of Gas Log Styles is almost endless. From split oak to white birch, almost every North American tree is represented. Traditional logs will have a mixture of full and split logs, or - if you prefer the look of a long-burning fire - the charred series will give the impression of collapsing logs. For those with limited time or energy, building a welcoming fire isn't always a simple task. But there is a solution. Install a set of gas logs into your fireplace and enjoy a fire in seconds. Although little can replicate the smell of a wood burning fireplace, there are few things that can pose a safety concern like a wood burning fireplace. Sparks fly, logs roll, and the chimney will build up with creosote which can cause a chimney fire. Wood must be cut, stacked, and retrieved from outside, possibly even during a hazardous snowstorm. On the other hand, gas logs require very little maintenance. There is no need to leave the house for firewood, and sparks very rarely fly from a gas fire. There will need to be safety precautions followed as with any gas appliance; however, if properly maintained, gas logs are a safer way to add additional heat to your home. It is recommended that your chimney is inspected annually to insure that no degradation has occurred in the pipe. 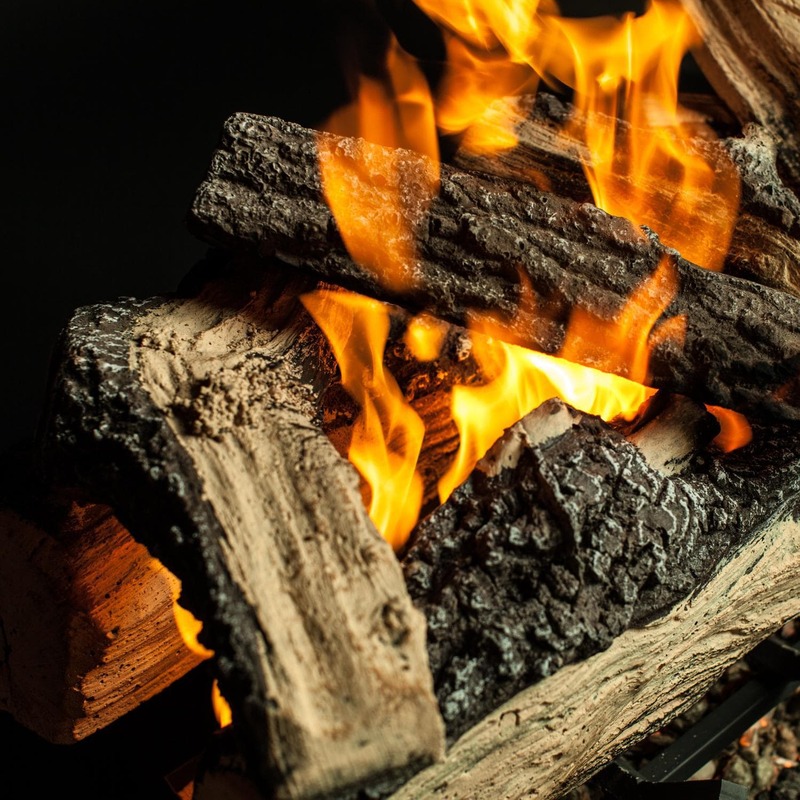 Certified Gas Logs feature a multitude of safety features to prevent gas leaks. However, it is recommended that a carbon monoxide detector be installed as an added level of protection. 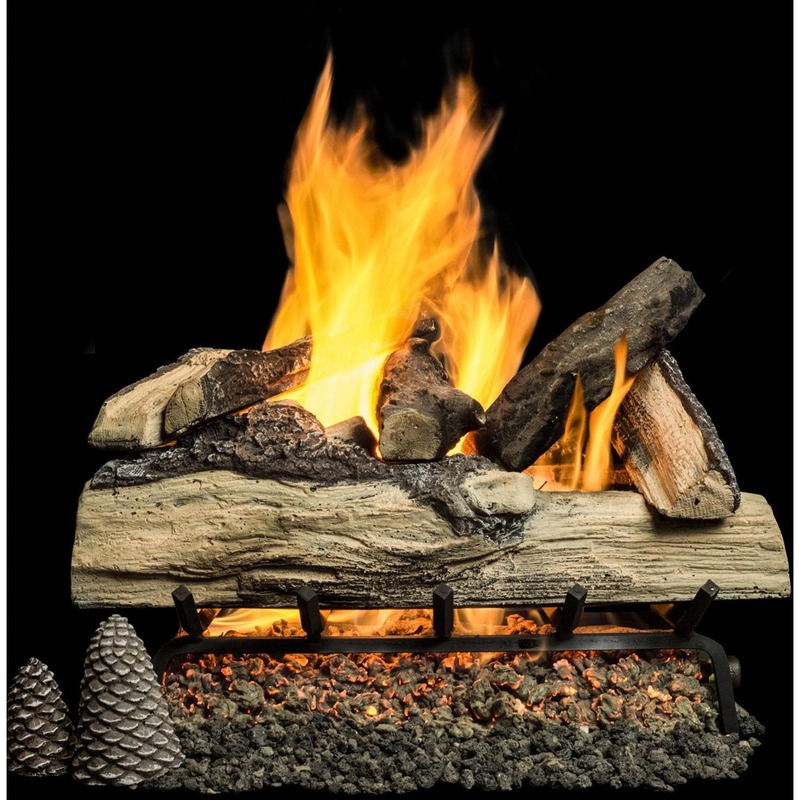 Once installation is complete, gas logs are a fraction of the cost of a traditional fire in the long run and an excellent source of heat and light during power outages. The logs will last for many years with proper care, thereby eliminating the need to stock and replenish firewood. Annual chimney cleaning also becomes unnecessary. Furthermore, gas is less expensive and more efficient than wood per BTU burned. Wood fireplaces introduce particulates to our environment as the wood burns, adding to the already overburdened atmosphere. The EPA is now regulating the amount of particulates that a wood stove can emit, and - in many states and municipalities - there are burn bans during the winter months that can prevent you from using your fireplace. You could potentially face fines if you burn wood in a non-certified fireplace during the ban. Gas logs are not affected by burn bans. Gas is a “cleaner” burning fuel that has a significantly reduced environmental impact. You will need to know what type of venting for the gas logs you will need. Vented Gas Logs utilize your existing chimney as the vent, and some heat will be lost up the chimney. Adding a Fireback behind the set will radiant more heat into the room. Ventless or Vent Free Gas Logs do not require a chimney and will provide a greater amount of heat in the room. Controls are another consideration. Ignition controls can be as simple as lighting a match or using a push-button igniter. Electronic ignitions are also available and can be easily paired with a Remote Control. Some municipalities and states require that an installed set of gas logs meet certain rigorous testing criteria and certification. Certified sets will have the safety pilot and igniter assembled and installed with the pan at the factory by the manufacturer. These sets may be slightly more expensive but you can be assured that there will rarely be any installation concerns with these components. The very first thing you will need to do is measure your fireplace to determine what size log will fit. Follow our easy guide and use our Gas Log Finder to view your options.